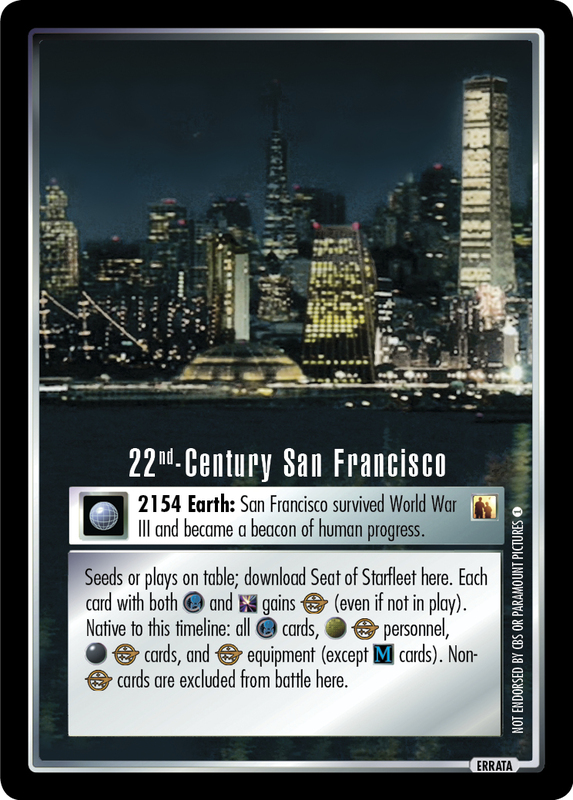 2154 Earth: San Francisco survived World War III and became a beacon of human progress. 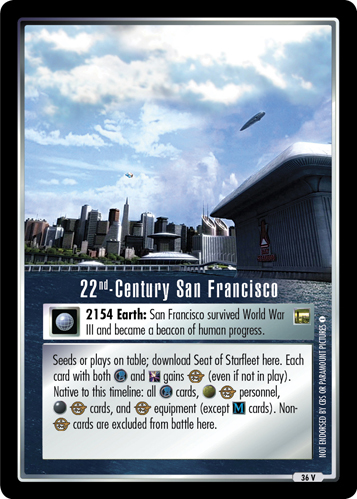 Seeds or plays on table; download Seat of Starfleet here. 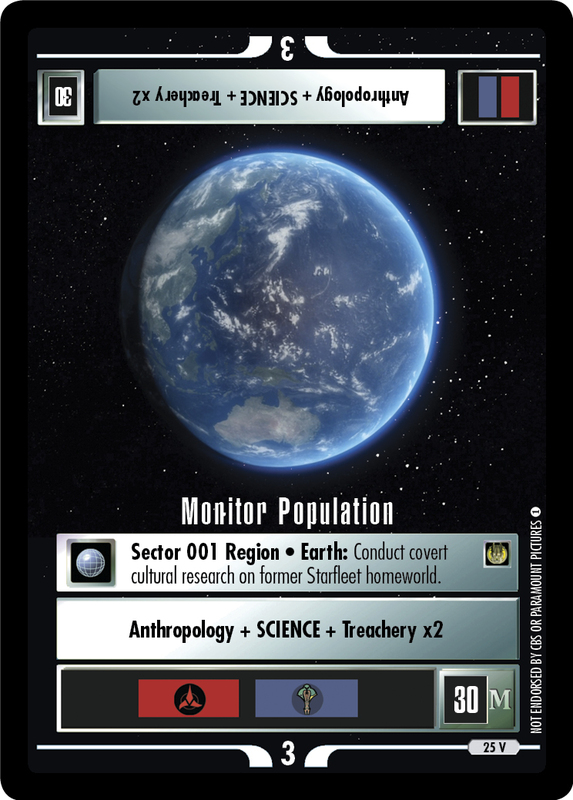 Each card with both and gains (even if not in play). 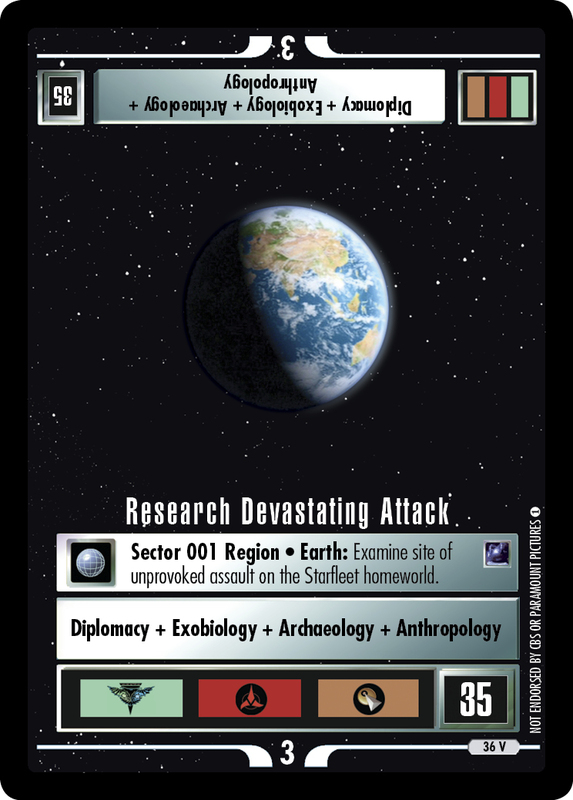 Native to this timeline: all cards, personnel, cards, and equipment (except cards). Non- cards are excluded from battle here. 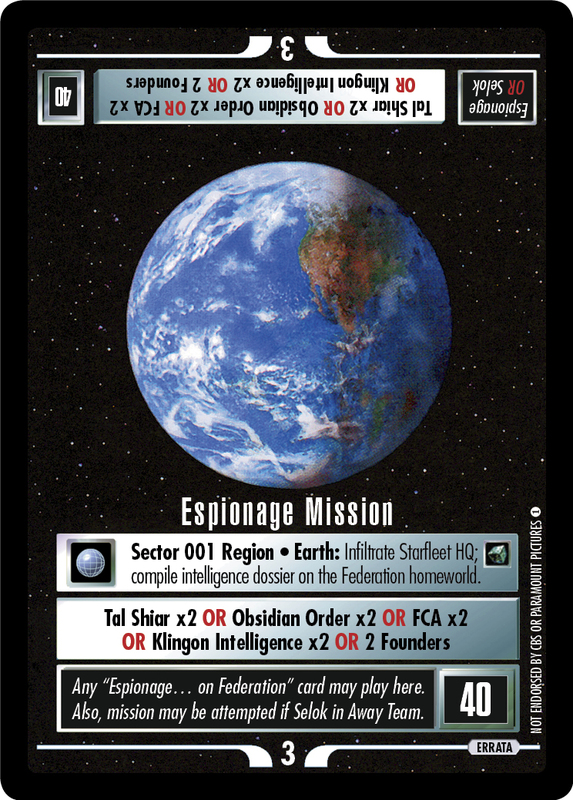 Image Source: Enterprise: "Broken Bow"